The Berkeley Historical Plaque Project is dedicated to placing plaques at, or about, historic sites in Berkeley. Many of the plaques are physical, beautifully designed and placed at the locations interpreted. Others are posted at the Plaque Project’s website, as e-Plaques. The e-plaques allow people not in Berkeley to see the plaques, and learn about those being interpreted – a world wide version of the physical plaques, available to all. The e-Plaques also allow an honoring of sites and people for far less than the $1000 cost of the physical plaques. Eventually, it may be possible to put a physical plaque on what might be called “Ish’s House,” the house on “San Lupo Drive” which was the Stewart home when Earth Abides was written, and Ish’s home in the novel. But that will need to wait until the time when there is funding available for it. Until then – and after – this is a fine piece of work, to be enjoyed by people in many places around the globe – and beyond, if someone on the International Space Station is a Stewart fan. “…Each time I read it, I’m profoundly affected, affected in a way only the greatest art—Ulysses, Matisse or Beethoven symphonies, say—affects me…. Sallis is not the only one who reads and re-reads the book. The Pilgrim, Steve Williams, who went to school in Liverpool with Lennon and McCartney, has read it so many times he’s lost count – but it’s in the hundreds. A fellow blogger who goes by the name of teepee12 tells me she reads it every couple of years. I’ve read it many times since the summer in 1956, when it was placed in my hand by The Librarian. She was one of the best teachers encountered during my life journey, and I don’t even know her name. To this day, and in my biography of Stewart, that perceptive woman is only known as The Librarian – but when she handed me that book she handed me my life. I don’t want to give the plot of Stewart’s novel away, but I’ll share enough to intrigue you – if you like adventurous, ecological, philosophical, almost-religious works of literature. As in Storm and Fire, the ecosystem is the protagonist. But in this case, it’s not an isolated ecological event; it’s the entire ecosystem, thanks to a small virus. The lives of the few human characters are defined by how they respond to the effects of the virus. Ish, the male protagonist, is an intellectual who tries to find meaning in the events of the book. For him it’s a quest for a faith. His wife, Em, responds by bringing new life into the post-human world. For her, it’s a duty to carry the flame of human life and culture onward, no matter what the conditions. He decides to travel the USA to see how others have fared. (Stewart was a great wanderer of trail and road, and took the journeys he describes in the book.) Ish begins by heading south from Berkeley, California, on US 99. He heads east over Tehachapi Pass on California 58; then follows Route 66 until a tree blocks his way. Eventually he reaches Manhattan; then returns on a more northerly route on US 40 until a forest fire near Emigrant Gap forces him to turn off on California 20. Along the way, he finds a few survivors who seem to be almost stereotypes of diverse American subcultures. Some, Ish believes, will prosper. Others, like the couple in Manhattan who drink martinis in an apartment with no fireplace, probably won’t survive the first winter. Here, and later in the book’s sections on the evolving culture of The Tribe, Stewart is writing a wonderfully speculative anthropological work. But the book is not a dreary religious tract by any means. Much of the time, Ish and Em are building a small community in the Berkeley Hills. Others join them and the “Tribe” begins to grow. The “Americans” – those who lived before the event which begins the story – work hard to keep some of their culture alive. But the youngsters, who will truly become a tribe, must live within the new world. To them, a good method of hunting with bow and arrow is much more important than learning to read or going to church. The book is an anthropological work in many ways. The old culture tries to protect its great store of knowledge. The younger members of the Tribe work to survive, and have little time for sitting and reading or listening to prayers. They practice shooting their bows and arrows. Yet The Tribe will develop its own faith, as Ish is seeking his. Both faiths, ironically, revolve around a simple American object. During his research in the American River Canyon, Ish finds an old single-jack miner’s hammer. It gives him a sense of security, so he carries it with him throughout the novel. By the end of the book, the Hammer of Ish has become the most revered object the tribe possesses. They insist that Ish must pass it on when he dies. 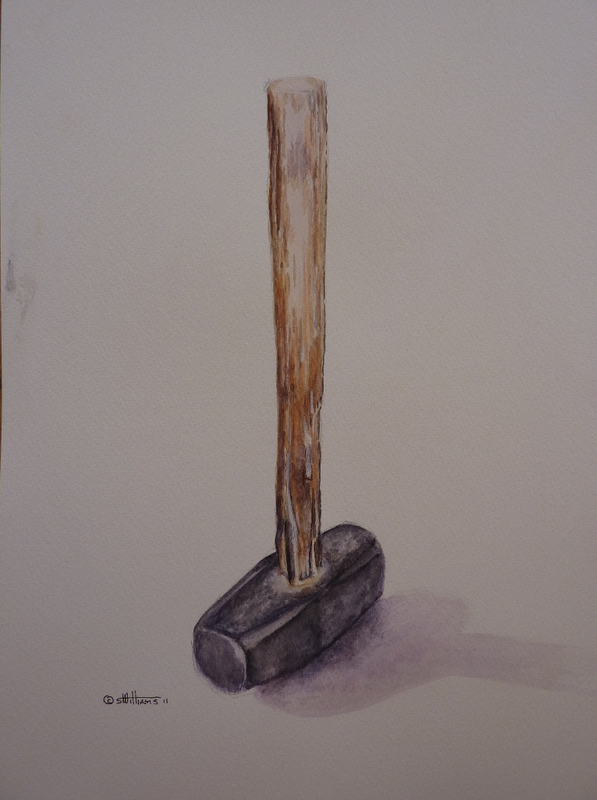 The person who receives the Hammer will become almost god-like – as Ish does, in the latter pages of the novel. The Hammer of Ish is one of the great symbols in literature. And it’s a quintessentially American symbol, designed for common tasks by the Common Man – but it can also be used to find and mine gold. I believe the Hammer is one of the reasons for the book’s strong effect on readers. Like Ish, readers feel very comfortable with the Hammer; but readers feel its mythological power growing throughout the tale as it becomes a spiritual object. The book was based on solid research. The Stewart Papers in the Bancroft Library at UC Berkeley hold many letters from colleagues and companies responding to Stewart’s questions about a post-human world. For example – how sheep and cattle would fare, how long auto batteries would last, and when rust would collapse the Bay Bridge. One of the letters is from Carl Sauer, the greatest geographer of his age and one of the greatest minds of any age, discussing the sheep/cattle question. It, like all the letters, reveals how intrigued Stewart’s correspondents were with his questions. The book was published in the fall of 1949. After a few years of good sales, Random House decided to stop publication and return the rights to Stewart. 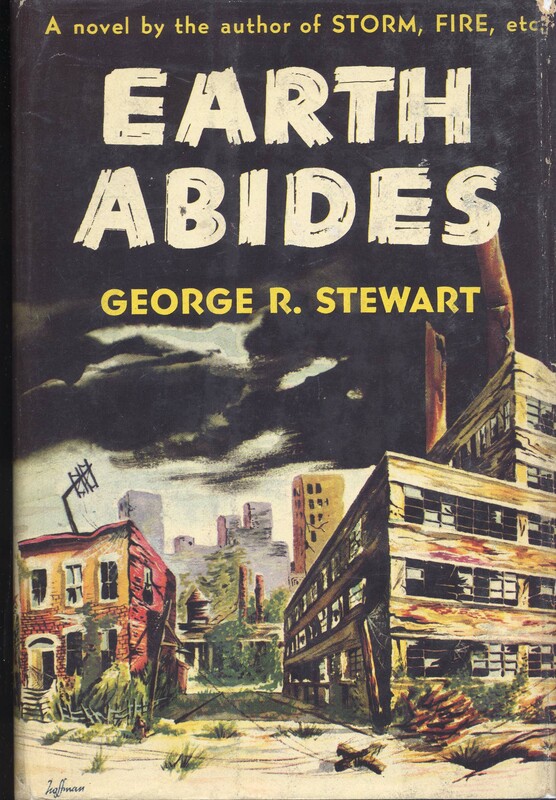 Almost immediately, one of the book’s strongest fans, Alan Ligda, contacted Stewart and asked to publish Earth Abides at his Archive Press and Publications. Stewart granted permission and the book quickly went into print. Ligda’s publication sold out quickly. Random House asked for the return of the rights, and the book returned to print with that major trade publishing house. Thanks to Alan Ligda the novel has never been out of print. Readers and scholars owe him a great debt. Although he died poor and relatively young, Ligda played a major role in the story of Earth Abides. Does Ish find his faith? Does the Tribe survive? Does Earth abide? What adventures, literary and intellectual, are found along the way? To find out, read the book. Earth Abides has had an extraordinary literary and intellectual life. Never out of print in the 65 years since publication, now in an audio version as well as a print version, and in 20 languages, the book and its ideas have swept across the Earth. The next post will discuss how the book has affected some of the finest literary minds, and how the book has influenced art, science, and thought.